It’s been a while since my last nail art post, so I wanted to kick off my Weekly Nailgasm series again! 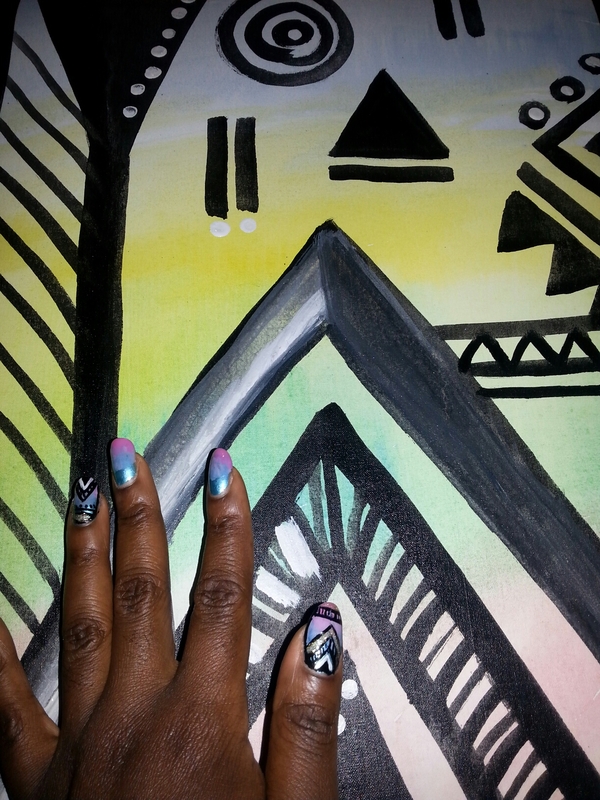 What better way to sashay back to nail art glory than with this chic ombre tribal print? Better GIT IT. I love ombre so much, whether it’s on hair, fabric, or nails. Speak not to me of trends! I don’t know whether ombre is still “in” or not, and I don’t care. I adore it and I intend to wear a disrespectful 34-inch ombre Mongolian weave to my 70th birthday paree. You’re all invited. Ok! So for ombre nails I like to select three complementary colours. It’s super easy- I just paint each third of the nail a different colour, working fast so none of the colours dry before the next one goes on. This makes it easier to muddle the colours a bit at the transition line. Once the base was dry, I used a black nail art pen to create thick graphic lines. All you need for this step is a steady hand and your imagination (wine helps, too). I let the lines dry and then I added some highlights with a white nail art pen and “Golden Nuggets” glitter by Essie. Let the whole shebang dry and then finish with a good quality top coat- my favourite is Seche Vite Dry Fast Top Coat. And there you have it! I loved this design so much that it inspired me to create this cute painting. That’s right. I’m my own muse, bish. YAAAASS for matching your nail art to your wall art! Hope you liked it, dolls! 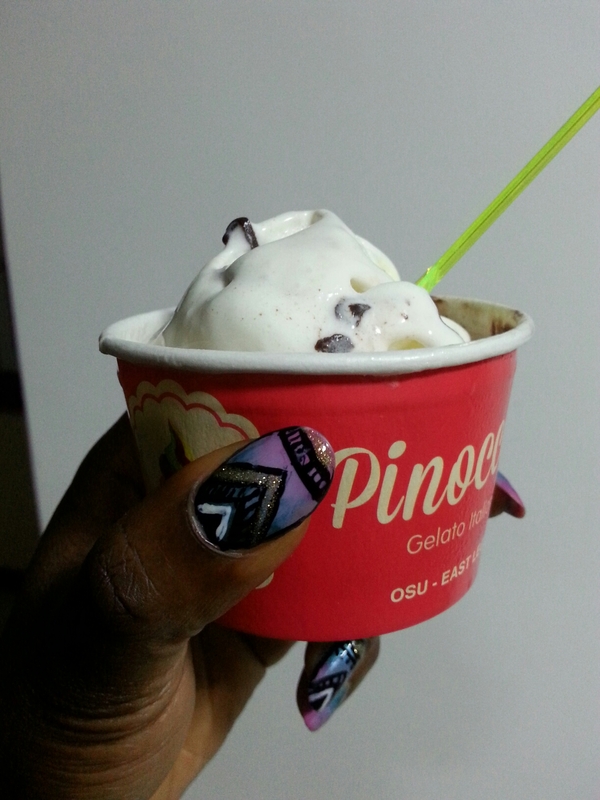 Look out for more Weekly Nailgasms coming soon. Hugsies.